Today’s Lumenatorial covers how I captured the photo of that baby ladybug. The story begins when I drove my car through the car-wash. Back home I inspected the cleaning job and found the ladybug on the car’s roof (however it got there at temperatures around zero). I took it inside and quickly assembled a makeshift studio. 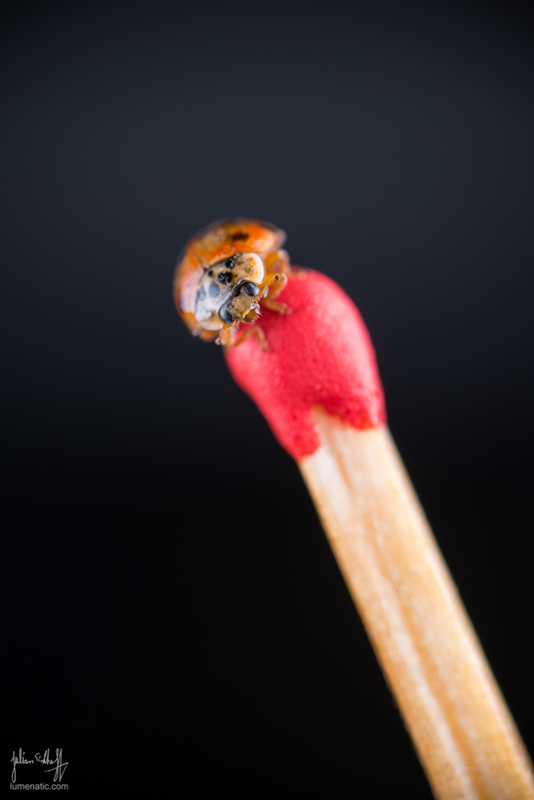 An old film roll served as a holder for a matchstick on which I placed the ladybug. 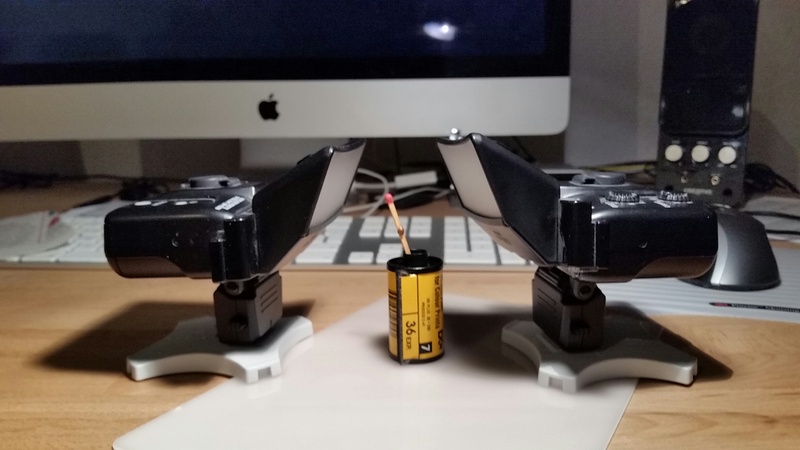 Two SB-R200 flashes with diffuser panels provided light. I mounted the Venus 60 mm f2.8 macro lens on my D800 and put the lens into macro mode (2:1 magnification !). The image was taken at 1/200s and f8, ISO 100 (don’t get fooled by the metadata. The lens is fully manual, no information is transmitted to the camera. The standard setting f2.8 is written into every picture’s metadata.The ladybug crawled and down, back and forth. I took around 80 shots during the session and chose the one at the top to be the winner. The grey blurry spot in the background was not intended, but helps the image. 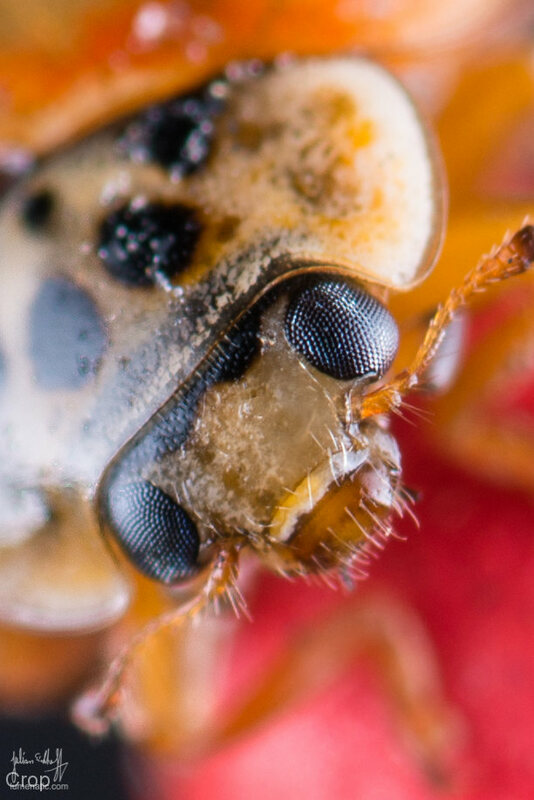 It is actually a reflection from the frame of my iMac which stood about 30 cm behind the ladybug. Post processing involved stamping away some sensor dust (“a dirty mind posesses a dirty camera” or how did this saying go ?). As a bonus here is a 100% crop of the final image. Not so cute at all, that ladybug, eh ? By the way is “Baby Ladybug” a joke, or are you unaware that lady birds and other beetles do not grow after metamorphosis? Actually this is the rule for all insects – after the wings are fully developed no more growth!